One of our favorite downtown wedding venues to photograph at is the Atrium by Ligon Flynn. 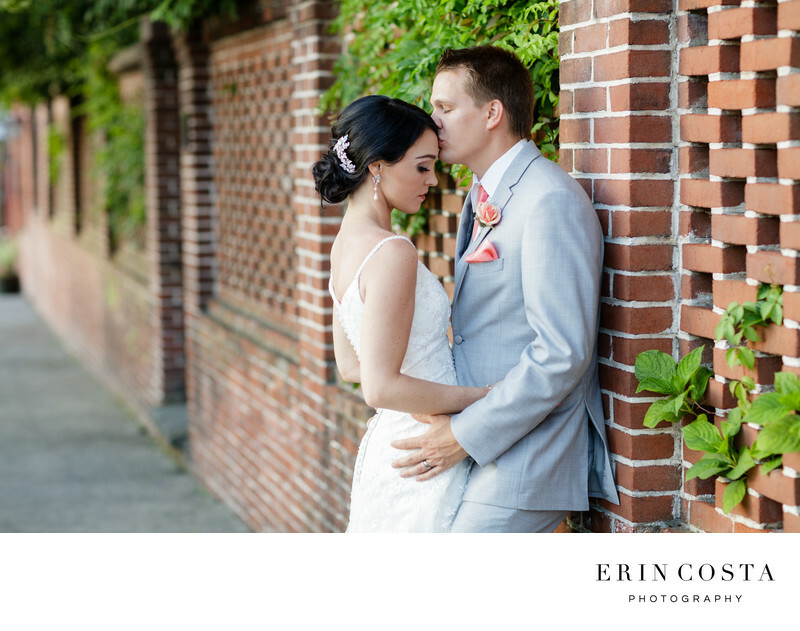 Their beautiful ivy wall and indoor atrium makes every wedding photo beautiful. Located on 2nd street in downtown Wilmington, it makes it easy to sneak out during the reception and grab a few romantic photos at sunset around the downtown area. We walked with Preston and Matt until we found this beautiful soft patch of light, and then positioned them on this brick wall. The brick wall also incorporates the look of the ivy on the wall in the Atrium and creates a leading line directly to them. We love Preston's soft expression and just adore this photo.